IVR payment solution reduces costs, increases efficiency and gives customers the option of securely processing payments over phone. Do you know that one of the things that turns off a customer towards a brand is bad service! A customer is likely to stay loyal to a brand that offers them a seamless transactional experience. 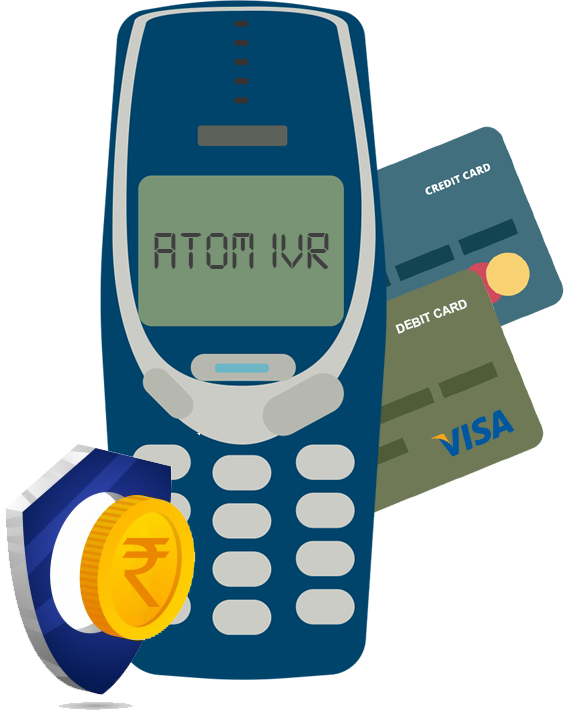 With atom’s IVR payment solutions you can give them the option to pay easily via phone call. A secure, reliable and convenient payment solution, atom IVR, facilitates automated acceptance of payments through credit and debit cards 24*7. Eliminating the ‘customer care executive’s’ participation in the process of undergoing a transaction, atom IVR makes it possible to carry out payments seamlessly over the phone by disposing off the fear of revealing crucial credit or debit card details. In the absence of smartphones, IVR enables easy phone payments through feature phones. atom’s IVR solutions are employed far and wide. It enables transactions over the phone for airline tickets, movie tickets, leisure tours, day to day shopping, magazine subscription, car servicing home delivery and others. We are a leader in providing IVR payment gateway in India. 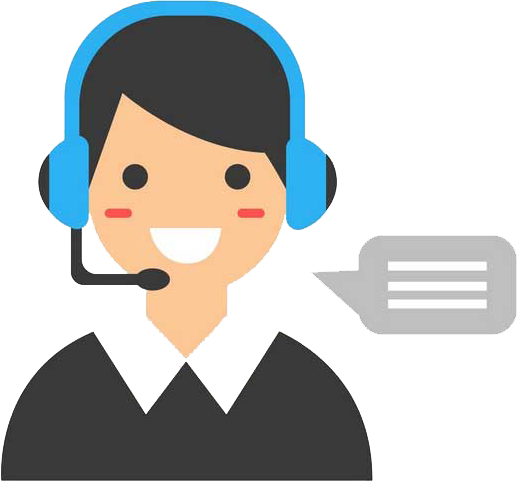 How is IVR being used in payment gateway? The evergreen IVR or Interactive Voice Response system is extensively being used to accept and make payments over the phone, as providing debit and credit card details with DTMF is easy and can be done on the go without a computer or an internet connection. In case the card details are not stored by the payment gateway, the details must be entered making use of DTMF while processing the transaction. Almost all IVR payment gateways utilize outbound dialer in order to process the transaction. As soon as a customer makes a purchase, atom IVR makes an outbound call on the registered phone number, declares the purchase details and requires the customer to press a key to confirm. Once the purchase is confirmed, the customer is asked to punch in the correct PIN, therefore completing the transaction by charging the debit or credit card. atom caters its merchants by providing them with the option of both Inbound and Outbound IVR solution, which can be deployed by them. Being a versatile system, atom IVR allows merchants to configure their own call flow, as per their requirements. Inbound Call flow systems are used to de-humanize the process of calling-answering and allow you to conduct extremely complex transactions such as accepting outstanding bill payments. Inbound Calls refer to the process where the customer initiates the process of calling, with the intention of reaching out to a merchant. atom’s Inbound IVR systems enable processing of any debit or credit card transactions over the phone and can therefore operate 24*7. It includes the interaction between the call centre agent and the customer. On customer’s willingness to pay through credit card, agent keeps the customer on hold, dials out to atom IVR and enters the unique number/policy no/transaction id/booking id etc which is generated from their CRM, on receiving proper response from the client’s backend, IVR prompts to take the customer on the conference call. The customer is then prompted to enter his credit card details including the OTP. After authentication & authorization, IVR prompts the respective message to the Customer. It includes the interaction between the call centre agent and the customer. On customer’s willingness to pay through credit card, the agent keeps the customer on hold, dials out to atom IVR Mumbai/Delhi calling numbers and enters all the required details for the transaction manually like Transaction id, amount, mobile no etc. and then adds the customer on the same conference call. The customer enters all the required details for the transaction manually like Transaction id, amount, mobile no etc. The customer is then prompted to enter his credit card details including the OTP. After authentication & authorization, IVR prompts the respective message to the Customer. This process does not include a call centre agent. The customer directly calls up on the number which is provided by the merchant or DID numbers shared by atom. This process does not include call centre agent. The customer directly calls up on the number which is provided by the merchant. Once the customer gets connected to the IVR, the IVR prompts the customer to enter details (customer id, order id, product code, policy no, transaction reference no etc.) followed by the amount. Outbound IVR or Call flow allows merchants to have their systems initiate the call process towards the customers for services like payment received alerts or an outstanding payment reminder. Payment reminders or the collection calls are generally placed over an extremely intelligent automated system that can monitor whether the calls are answered or unanswered. Is it safe to accept Payment through IVR technology? IVR payments can offer greater security and convenience — both for your business and your customers. Our IVR service is a fully secured, impregnable solution which is ‘PCI DSS version 3.2’ certified. With PCI DSS security certification atom ensures that its customer’s invaluable account information is invariably protected. atom IVR also provides validation and authorization on real-time basis. Why choose atom for IVR Payments? atom IVR provides a customer the option of making payment with any debit or credit card. Establishing an IVR doesn’t cost a fortune. The developmental cost of an IVR system is highly economical. atom’s web based transactional tool allows a merchant to monitor transactions happening on the IVR platform on a real-time basis. Is IVR Payment Right for Your Business? It is a primal requisite for businesses these days to remain within easy access to their customers. Give your customers the options to pay anytime through their phones using IVR payment solutions from atom. Done correctly, IVR payments offer greater security and convenience both for your business and your customers. atom technologies offer PCI-compliant IVR payment solutions that leverage the latest security features (including tokenization and encryption). If you're interested in incorporating IVR technology into your payment infrastructure, then contact us.